With more than two decades of experience in the prevention of lead poisoning, Leadtec Services is recognized as a national leader for its training programs. More than 10,000 people have received training from Leadtec and the company has conducted classroom training in more than 30 states. In its Towson, Maryland headquarters, Leadtec maintains a state-of-the-art training facility that provides participants with the ability to experience hands-on learning experiences. Leadtec’s training facility was the first of its kind in the country. 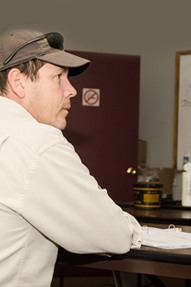 Leadtec’s training faculty possesses more than 50 years of experience in the lead paint abatement/inspection industry. The Maryland Department of the Environment and the U.S. Environmental Protection Agency have accredited Leadtec’s faculty. The EPA requires this course for renovators/remodelers performing this type of work in pre-1978 residential properties and child occupied facilities. Participants who successfully complete this course are permitted to do lead abatement/hazard reduction work under the supervision of an accredited lead abatement or maintenance repainting supervisor. Participants who successfully complete this course are permitted to supervise traditional lead abatement activities such as component replacement, enclosure and paint removal as well as paint stabilization, maintenance and repair. This is a FOUR DAY Course. Paint stabilization and maintenance work that is required to meet risk reduction standards for rental properties. This course prepares individuals to conduct risk reduction inspections on rental properties in Maryland to ensure the properties will be in compliance with either full or modified risk reduction certificates. This course prepares individuals to evaluate and interpret data collected during inspections and prepare reports that characterize hazards associated with the levels of lead contamination. Successful completers can perform duties of either an inspector technician or a visual inspector. Refresher courses are available for all Leadtec Services training programs. Each refresher course is one-day and includes updated information. To maintain accreditation for supervisors and inspectors refresher courses are required every two years. To maintain certification for workers refresher courses are required every three years. To maintain certification for Renovators refresher courses are required every five years. Many of Leadtec Services’ courses can be delivered in facilities outside of its headquarters in Baltimore. If you are interested in having a course taught in your area, contact us. Fees will vary by geographic area. Training Calendar can be found here.